These schemes contain offer a breadth of reading experience for children in a structured format which ties in with the national book band levels and beyond. This also applies to the guided reading books which are used in school. In addition to the school reading scheme, pupils have the opportunity to visit the library which contains a good selection of fiction and non-fiction books to stimulate an enjoyment of reading. Systematic phonics is taught daily in EYFS and KS1. Phonics are the sounds that are represented by letters and are used to help children learn to read and write. 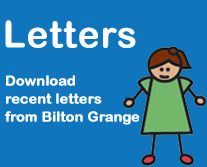 'Letters and Sounds' is the main resource we use to teach phonics although teachers also use 'Jolly Phonics' and 'Yellow Door' to supplement their lessons. This is only part of what we teach in school to help children to become confident readers and writers. Children have guided reading sessions where an in-depth understanding of texts is developed. 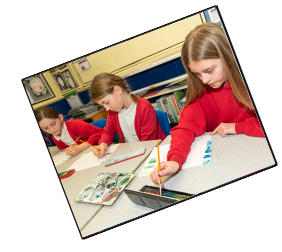 Quality texts are used to stimulate children's imagination and expose children to the literary world. 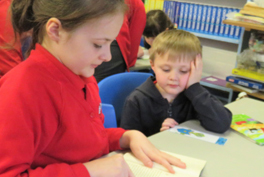 Children also take part in a wide variety of 'reading challenges' throughout Key Stage 2 to instil a love of reading.